Here is another cool piece of art spotted at Alexandria’s Torpedo Factory (the building is not dog-friendly, though). 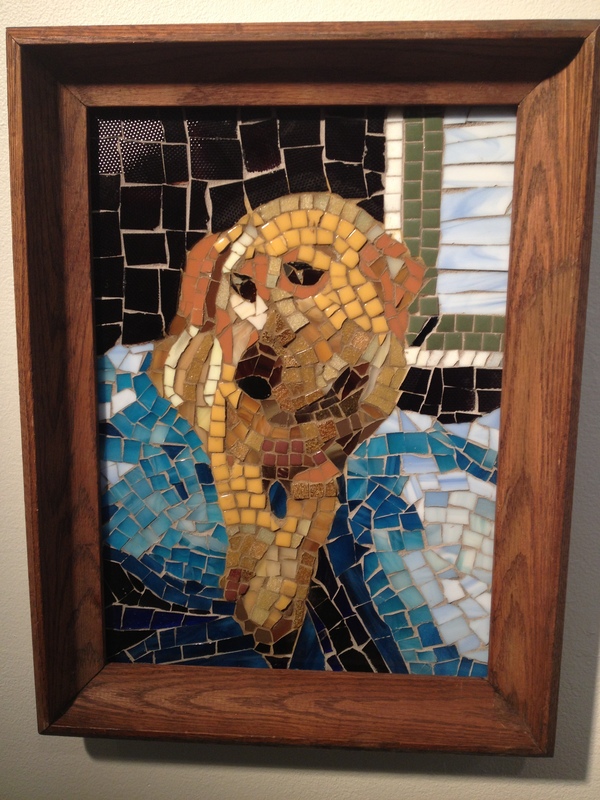 This is a custom mosaic by artist Roslyn Zinner of her sister’s Labrador. 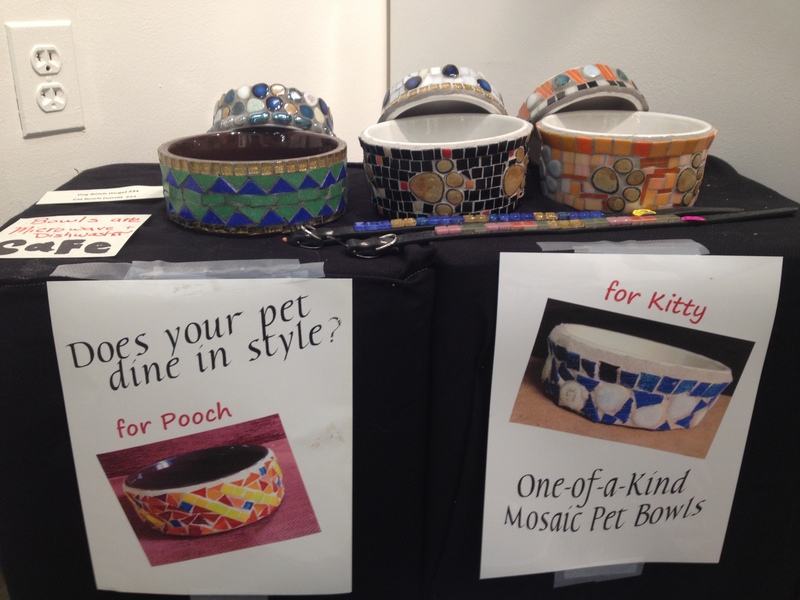 Zinner also does mosaic pet bowls.